Remember that time your friend came up to you and jokingly said that watching the Kardashians drone on about their oh-so perfect life and crib about their minor insecurities would actually make you stupider? Turns out that friend of yours was speaking sense. 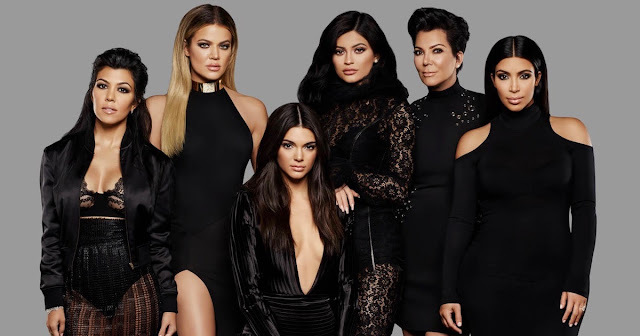 Watching materialistically driven shows like ‘Keeping Up with the Kardashians’ actually does pacify your brain and thoughts towards public welfare and sympathy towards the poor while you are inclined towards a more materialistic lifestyle. It has been postulated that watching such shows even for a brief period of 60 seconds may have lasting effects that would posthumously earn you the title of a ‘worse person’. Weird, right? Actually, not at all. The London School of Economics recently conducted a test to verify this very statement. They took 487 volunteers who were divided into two different groups. One group was exposed to television content which glorified the materialistic lifestyle and advertisements about jewellery and other luxurious items, while the other group was shown neutral content like a peaceful scenery, daily life, a train passing through a crowded place etc. The results of this particular test revealed that people who were exposed to materialistic content were conspicuously inclined towards anti-welfare ideals and exhibited materialistic attitudes than the other group. This worrying conclusion have got many to think about the serious implications behind being addicted to such television shows and programs. Human beings are losing their ability to sympathize with the poor and destitute after being affected by the content of such shows, which is alarming in itself because emotions are what make us humans. Losing that would mean carving out a part of the humanity. Dr. Rodolfo Leyva of the Department of Media and Communications of the London School of Economics explained that although humans are very social and communal, they are also innately materialistic. Since humans are socials animals, their social and culture influence and lifestyle determine their mindset. If a person has only been exposed to earthly-minded ideals and the lust for money and power, he is bound to grow up to develop selfish and anti-social beliefs, discarding others’ emotions and attending to no one’s feelings but his own. Similarly, a person who has grown up with the influence of good morals and has been taught to care for the penniless and the poor, he goes on to care for humanity as a whole and not value the material pleasure as much. All said and done, it is true that in order to survive and lead a decent lifestyle in today’s world, one must acquire money and wealth. Nevertheless, letting yourself be swayed by the visage of materialistic ideals and thoughts and ending up with an anti-welfare outlook is not a healthy social status. Television shows are incessant in their numbers, but we must guard ourselves from being affected by such negative content which is detrimental to our own morals.